I met recently with an ex-colleague from an off-Island asset management business who was making a brief visit to our shores. He was very pleased to tell me about all the intermediary businesses that he was meeting while he was on the Island and boasted of the client base he now manages for Isle of Man clients. I was both intrigued and slightly surprised by his comments as, from my own experience, I know there are a number of excellent providers based right here on the Isle of Man. What was it, I wondered, that would make a local intermediary, corporate or private client to use an off-Island asset manager rather than a local provider? – and what can local asset managers do to encourage more business to be retained on island when there is clearly more business to be had? It must be accepted that in some circumstances (autonomy, existing relationship, specialist service) business will be conducted off-Island, however I am vexed as to why non Isle of Man entities regularly visit and are welcomed on our shores when seeking business. Neither can it be because there isn’t a high quality, competitive offering. There are more than enough qualified, regulated and highly capable investment managers here. Many, such as our own, are backed and supported by a vast pool of experience and talent as part of a wider group. Which means that not only do clients benefit from a local investment manager who is readily available for meetings on the Isle of Man on a frequent basis, but they can also take advantage of a greater bank of expertise and skill sets should it be required. Similarly, it can’t be a matter of cost. Using a local manager means there are no travel or hotel expenses required. And the more local providers are used, the greater the economies of scale to the intermediary and end client. Regulation is not a sticking point either. Our Isle of Man regulator, the Financial Services Authority ensures that investment management (and other financial services business) are robustly regulated and that all personnel advising on investments are appropriately qualified and have an Isle of Man Statement of Professional Standing. So, given all these factors, it can’t be the quality of the local offering that is the problem. Is it therefore just a case of the local business are not as visible? 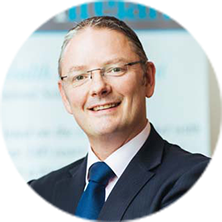 Do Isle of Man-based asset managers need to take a lead from other sectors that actively beat the drum for their local producers and providers? Take retail, for example, and especially food and drink, where consumers are now seeking out locally sourced produce and goods in an effort to reduce the carbon footprint of consumption, mitigate the impact of climate change and support the local economy. There has been a significant change of mindset here with the growing recognition that the short-term benefits of buying cheaply imported goods from foreign countries are outweighed by the long-term value of buying locally. Generally, there seems to be a greater awareness that encouraging economic activity at home has more positive outcomes for employment and our community, as well as for the planet. This trend to “think local” in our shopping and eating habits has been the result of a number of campaigns from environmental groups, among others, and perhaps local asset managers need to think of better ways of effectively marketing their services as a sector to generate a shift in the local consciousness. While many individual companies run their own advertising campaigns, often aimed at clients around the world, there is no joined up approach to promoting local asset management. This may, in part, be due to the local complication of asset management being closely linked in the financial sector with the funds industry. As is well-documented, the fund industry is currently experiencing a difficult time and, as both industries are represented by the Funds & Wealth Association, it could be that asset management is suffering by its long-standing close association. At the end of the day success has many fathers. A passionate Manxman born and bred, I was proud to return home in 2013 to join an exciting new start up asset management company in the Isle of Man. It’s an exhilarating and stimulating business to be in and it’s one I want to be sustainable and a long-term contributor to the local economy. From my own position as a provider in the industry I can see there is perhaps some education to be done at a local level as to highlighting the benefits of using the talent and expertise we have on the Island. This might encourage all potential clients keep local asset managers top of mind and encourage that “think local” approach, ensuring that more Island providers are included in new business pitches or are a first port of call. It is by no means a guarantee of business for local providers, however I’m confident the local businesses can stand toe to toe with any off-Island provider when presenting an investment solution. 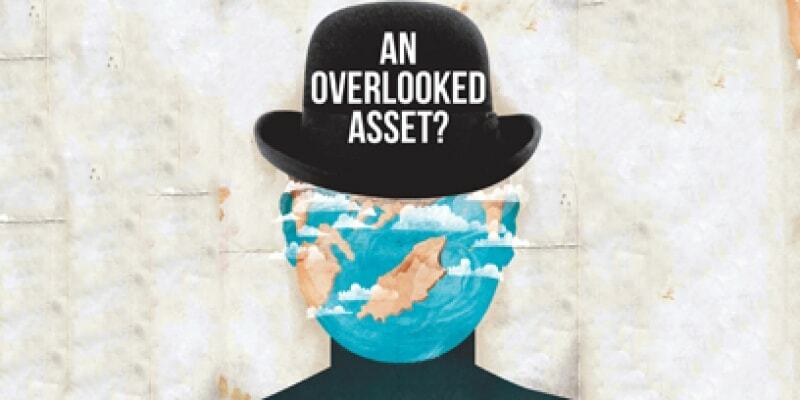 Obviously not all asset managers can be everything to everyone and some specialist investment management services may only be offered from larger financial centres such as London or New York. However, where the skills and offering needed are right here on the Isle of Man – and offer potential cost and convenience advantages over off-Island competition – there seems much to gain, and very little to lose, in engaging with the home-grown providers. Taking a wider perspective there is a further benefit to developing deeper mutual working relationships: it’s an excellent way to help the Island grow its skill base, something that’s good for the future of the Island’s economy and its quest to attract new people and new business all round.